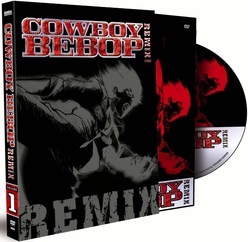 Experience Cowboy Bebop as you have never seen it before, completely re-mastered and remixed in 5.1 Dolby Digital Surround Sound! The year 2071 A.D. That future is now. Driven out of their terrestrial eden, humanity chose the stars as the final frontier. With the section-by-section collapse of the former nations a mixed jumble of races and peoples came. They spread to the stars, taking with them the now confused concepts of freedom, violence, illegality and love, where new rules and a new generation of outlaws came into being. People referred to them as Cowboy Bebops? DVD Features: English 5.1 Audio, Japanese 5.1 Audio with English subtitles, Commentary by Japanese Voice Cast, and Previews.